My involvement with Free and Open Source Software movement in the early 90’s is the root of the interest for Social Computing that brought me to Social Business/Social CRM. That was the first time a large group of people leveraged the pervasiveness of the Internet to collaborate in large-scale across traditional borders. Several of the thought leaders in Social Computing were also involved in the Open Source movement (e.g. Doc Searls, proponent of VRM, was – still is – an editor at the Linux Journal when he wrote some of the essays in the Cluetrain Manifesto more than ten years ago). Developers all over the world voluntarily contributed time and content to community projects in exchange for peer-recognition, reputation and plain intellectual curiosity. Without any traditional organizational structure, Linux developers successfully tackled a very large structured problem (building an Operating System Kernel). Linus Torvalds, the project leader, had no formal power or control over the developers.Marcelo Tosatti, the maintainer of the official Linux kernel distribution, was 18 years old and worked from his bedroom in the South of Brazil, producing the software builds used to power the data centers of virtually all Wall Street financial firms. 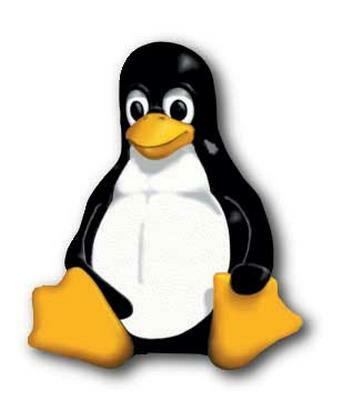 The GNU/Linux Operating System runs most data center servers, including the ones at Google, Amazon, and JP Morgan. Databases like MySQL, Cassandra and Postgres are used to store data, including your bank transactions, Tweets and Status Updates. Development Tools such as Java and PHP powers almost all websites. If your browser is not Internet Explorer, it is built primarily on Open Source Software. All this software was developed by communities of professional and non-professionals volunteers, working without direct financial interests or the control of a hierarchical structure. Some of the projects involved tens of thousands of people distributed all over the world. Can big problems outside software development be solved the same way? That is up to debate, but here are some lessons engineers can offer to business people. Hierarchy, structure and process may be useful, but they are not the only way to coordinate a large number of people in tackling a complex problem. Communities of volunteers with minimal coordination can achieve comparable results. Financial reward is powerful, but it is not the only way to motivate smart people to contribute to a joint effort. Peer recognition, intellectual pride and curiosity and community reputation can be as or more powerful. Collaboration may not be efficient, but it can be very effective in tackling problems that are broad in nature. Community leadership emerges naturally and does not need to be associated to power and control mechanisms or a robust management system assigned by formal organizations. Businesses can get involved with collaborative efforts without necessarily giving up their commercial interests or corrupting the community. Hi therre Dear, are you actually visiting this website regularly, iif so acter that you wijll absolutely take nice know-how.